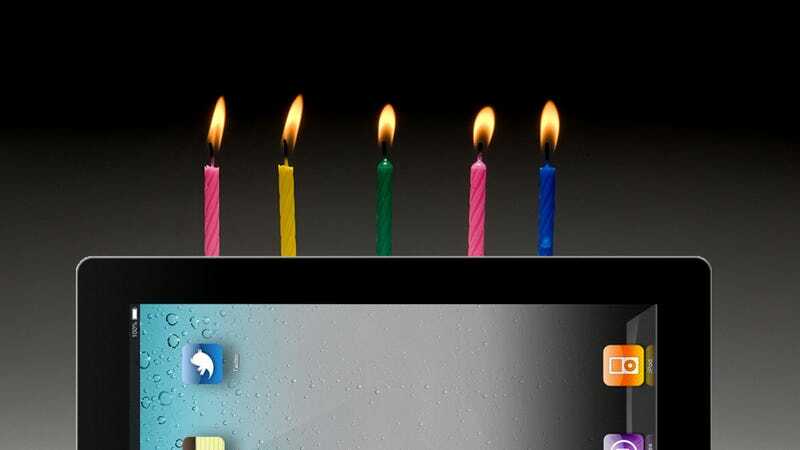 The iPad turns five today. That’s five years of reading emails at breakfast on slabs of glass and aluminum, five years of snuggling up with Netflix. Five years of wondering what the hell we were thinking when we first heard about this subtly transformative device. Five years! The technology has become so effortlessly useful, it’s easy to forget about that time we all thought that Apple was crazy for peddling a giant iPhone for many hundreds of dollars. So many concerns and worries loomed large at the time, but they’re downright laughable in hindsight. Here’s a sampling. Besides, the technology industry is full of stupid names. We’re talking about a world where a company named Yahoo! is worth over $40 billion and one called eBay is worth $60 billion. It’s not because of their whimsical names borne from some late 90s delusion of hipness. Tech companies succeed because they make good products. The technology that makes the iPad purr remains impressively unimpressive. The guts really were—and are—not all that different from that of an iPhone, including that crazypants touchscreen keyboard that everybody thought they would hate. Well, it turns out Apple was right about this one. For those users who hadn’t already gotten used to typing on their iPhone screens, a cottage industry of frankly fantastic portable keyboards emerged for your physical typing needs. Your dad probably loves his. The iPad’s size was one of the sticking points at the start, and how it was sort of just a 10-inch phone. Steve Jobs quite famously hated the idea of a 7-inch tablet. Not all tablets—just those ones with screens that were a little bigger than a smartphone but a lot smaller than a laptop. So along comes the 9.7-inch iPad, and man did that confound people. Longtime Gizmodo editor Brian Lam wrote in 2010, “Situated right between a phone and a notebook, the iPad is too big to pocket and too small to do any work on.” Well it was just right for something! Apple eventually caved and released the iPad Mini, although it looks like Steve Jobs’s disdain for that size was justified. The original 9.7-inch iPad size is still the most popular. That form factor has become the definitive size for a tablet, one that’s big enough to watch movies on but small enough to throw in a tote bag. Although it turns out people love giant phones, the sales numbers prove that if they want an iPad, they want a big one. Like a toaster oven, many of us keep an iPad around for very specific use cases. The gadget’s made itself indispensable, if only because it’s perfect for one thing or another. For me, that something is following a recipe when I’m cooking. For my mom, it’s cruising Facebook. For my dad, well, Dad’s holding out for the iPad Pro. Bless his heart.